Ever since The Godfather arrived on the big screen in the 1970s, gangster films (otherwise known as Mob films) have seen a resurgence in Hollywood that still continues to this very day. And with gangsters come shootouts with the police, drive by executions, mass slaughter, running numbers, assassination attempts, concrete boots, horses heads, and sleeping with the fishes. Whether it's from a colt automatic pistol or the iconic 'tommy gun', you'll soon realize that no place is safe from being riddled by mobsters. Here are 8 places a gangster would shoot his gun. 1) INFERNAL AFFAIRS: Guangdong Investment Tower, located at 147 to 151 Connaught Road Central in Sheung Wan. This is the place where Chan meets Superintendent Wong, the only person alive who actually knows he is a undercover cop. Fearing for Chan's safety, Wong intends to pull him out of undercover work, although they are unaware they're also being tracked. 2) CARLITO'S WAY: Grand Central Terminal, located at 89 East 42nd Street and Park Avenue, Manhattan. One ex-gangster. One shiny escalator. And one of the most famous scenes that left Grand Central station a stain on cinematic mob movies. In this seen we see Carlito, as played by Al Pacino, shoot one gangster on this escalator, resulting in blood, death, and no retribution. 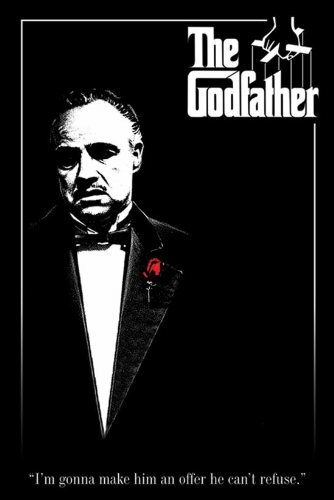 3) THE GODFATHER: Mitchel Field in Mineola, Long Island. The scene where Sonny from The Godfather movie was gunned down was most likely shot on a runway located at Mitchel Field, Garden City. It was previously reported that this scene was filmed at toll booths constructed on an abandoned airstrip out at Floyd Bennet Field in Brooklyn, but that's highly unlikely. According to cinematic history it appears as if this street is just perfect for shooting shootouts. The shootout scene when Bumpy is on the way to the Opera, South La Salle Street, is also used in famous films like Batman: The Dark Knight and The Untouchables. 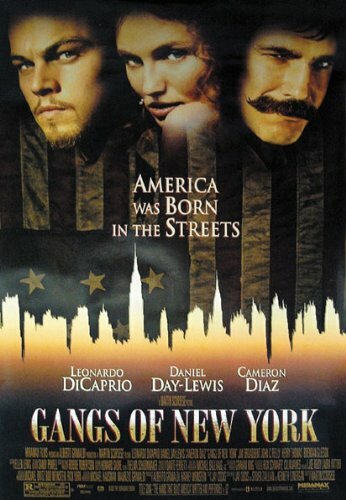 5) GANGS OF NEW YORK: Cinecittà Studios, Cinecittà, Rome, Lazio, Italy. You know a location is perfect for violence when a movie recreates the place in a set just to show it. As a matter of fact, an entire set was constructed to resemble Paradise Square in Lower Manhattan's Five Points, the place where Amsterdam Vallon returns to seek revenge against Bill the Butcher, his father's killer. 6) LAYER CAKE: Regency Cafe, Regency Street, Victoria, London. Even the fifth best restaurant in London isn't safe from a good old beating (with a teapot, no less). George Harris indulges in a bit of the old ultra-violence in the lovely black-tiled, 30s styled Regency Cafe. 7) GANGSTER SQUAD: Boardner's Bar 1652 North Cherokee Avenue, Hollywood. A movie about a squad of detective's intent on ending organized crime is sure to have plenty of gang violence in it. In one scene, a major shootout takes place in front of the Cabana Club while Jerry is talking to a shoeshine boy. The gang failed to kill Jerry, of course, but in a place such as the Cabana Club, there are bound to be some casualties. 8) THE KILLERS: Causeway Bay, Hong Kong. The scene where Danny Lee chases a gunman onto a tram was one of the most thrilling gunfights from The Killers. Local residents actually thought there was a shootout happening at Causeway Bay and called the police accordingly.